Eden said she asked Wruck during the morning meeting what would happen to KHSU’s programming schedule with staff eliminated and volunteer programming suspended indefinitely, and he replied that syndicated programming would be put in its place. She took this to mean that today’s announcement had been in the works for some time. Two minutes after HSU went public, Fretwell sent an email at 9:33 a.m., to all KHSU employees and volunteers announcing the changes. 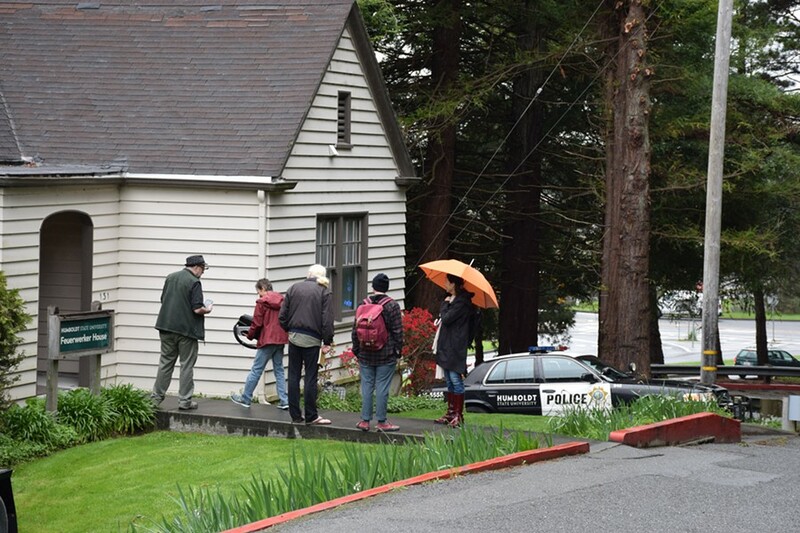 He noted that programming produced under the umbrellas of other nonprofits — citing EcoNews and Humboldt County Extension Services as examples — will be allowed to continue “during this transition time” and asks them to contact Reed to make arrangements. 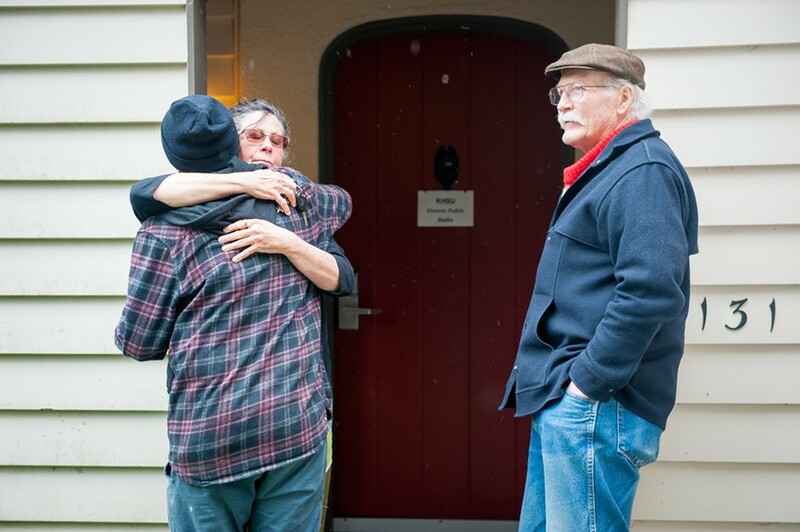 Danielle Orr, a 39-year volunteer at KHSU, hugs intern Damian Jimenez outside the station's office in the Feuerwerker House. Jimenez is a communications major and journalism minor who said KHSU was one of the things that drew them to Humboldt State University. One thing was clear: The community-based model that had sustained the station for decades was abruptly changing — likely for good. 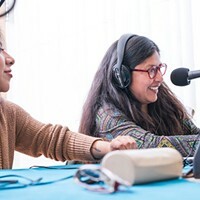 Community members were quick to make their displeasure with the sudden shake up known, with many — like Eden — noting how it came just one week after the pledge drive and making renewed calls for those who had donated to withdraw their support. Similar actions were taken after Whiteside’s ouster, resulting in the postponement of a previously scheduled June fundraiser. The university moved swiftly in response to today’s announcement. The staff list on the KHSU website listed just Reed and Estrada when the Journal checked at 10 a.m. Similarly, the “history” section was updated to include a mention of the 2019 “reorganization” inserted in the second paragraph. The KHSU Facebook page was taken down by the afternoon. "Obviously it's a tough day for everyone at the station,” Estrada told the Journal. “It's very emotional and it's very uncertain as to what will happen next." In today’s public announcement, the university cited an April 8 advisory report on KHSU’s operation, which was conducted by the office of California State University system’s vice chancellor and chief audit officer at the behest of HSU President Lisa Rossbacher. The 18-page CSU report goes on to make a number of recommendations, including evaluating KHSU’s mission and goals, organization and oversight and use of social media accounts. Also suggested were finding ways to facilitate better communication between staff and management, a review of payroll arrangements and updates to job descriptions for the staff. Several recommendations focus on tightening up access to facilities and equipment and addressing past lapses by coming up with protocols to deal with the risk of lost or unreturned keys. University Associate Vice President Frank Whitlatch said he’s not sure when the decision was made to eliminate most of KHSU’s staff and indefinitely suspend the bulk of its volunteer programming. 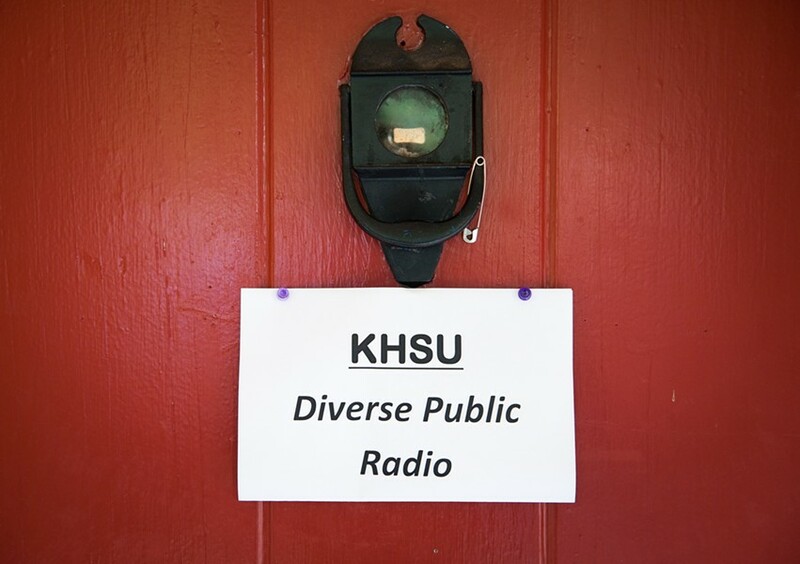 But he confirmed that arrangements have been made with another NPR affiliate to provide KHSU with programming, as necessary, to fill any potential dead air created by today’s announcement, which appears to gut much of the station’s programming schedule. 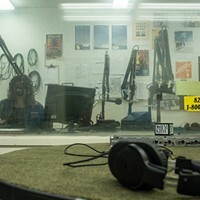 This afternoon, the station was airing programming from a station in Chico, which is in the midst of its own pledge drive. Whitlatch said KHSU employees were given two weeks’ severance pay, with the exception of Fretwell and Kevin Sanders, the station’s engineer, both of whom are state employees and subject to different processes. Fretwell has been out of the office for at least several weeks on family leave, Whitlatch said, adding that he has done some remote work during that time, both with station staff and HSU administration. As to the timing of today’s announcement, Whitlatch said HSU administration has been grappling with issues surrounding KHSU for some time. While the CSU audit arrived this week, Whitlatch said he believed HSU administration had been in touch with the CSU auditors prior to receiving the final report. 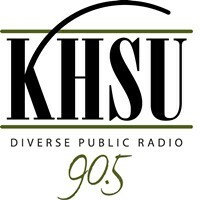 KHSU staff took issue with the university’s charge that the station’s “community support has been flat or declining, with underwriting revenue down approximately 14 percent for the year and listener support down approximately 17 percent.” They point to the administration’s controversial decision to fire Whiteside as the reason those numbers plummeted. And it seems those numbers are now poised to dip further, as a number KHSU members are pledging to pull their support for the station after today’s news. 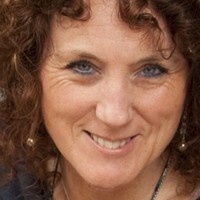 Among them is Wildberries Marketplace, long one of the station’s biggest supporters.